Social Justice addresses the root causes of injustice, and changes structures. ​Charitable Works meet basic needs, focusing on the individual. St. Gerard’s Justice & Outreach Commission is looking for new members! ​Get involved in St. Gerard’s social justice ministries! 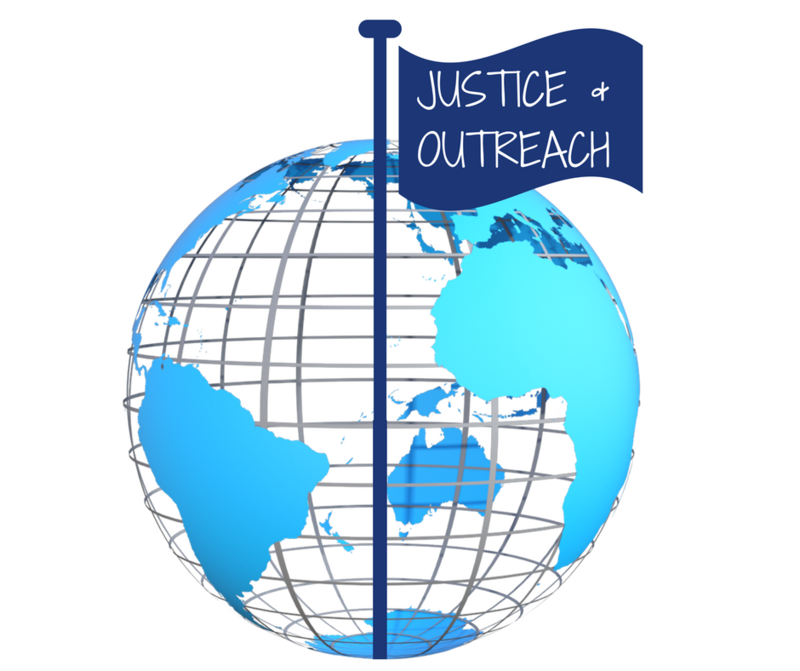 If you are interested in becoming a member of the Justice and Outreach Commission, or one of the Social Justice Ministries, or in joining on a specific project please contact Anne Tiller at annet@st-gerard.org or 763-424-8770, ext-120. The Justice/Outreach Commission meets on the first Monday of the month. We are always looking for new members and all are welcome! The garden's 14 plots have all been rented for the 2019 growing season. You may still call the parish office at 763-424-8770 and request to be placed on a waiting list. St. Gerard’s Community Garden opened Spring 2018 and consists of 14 individual 20 ft x 20 ft garden plots. Both parishioners and the public are able to rent an individual plot for growing fresh and healthy food. Goals include serving low income and diverse groups within the Brooklyn Park community, and promoting and providing access to healthy food. Two of the garden plots are reserved for parishioners to grow fresh vegetables to donate to the Community Emergency Assistance Program (CEAP). 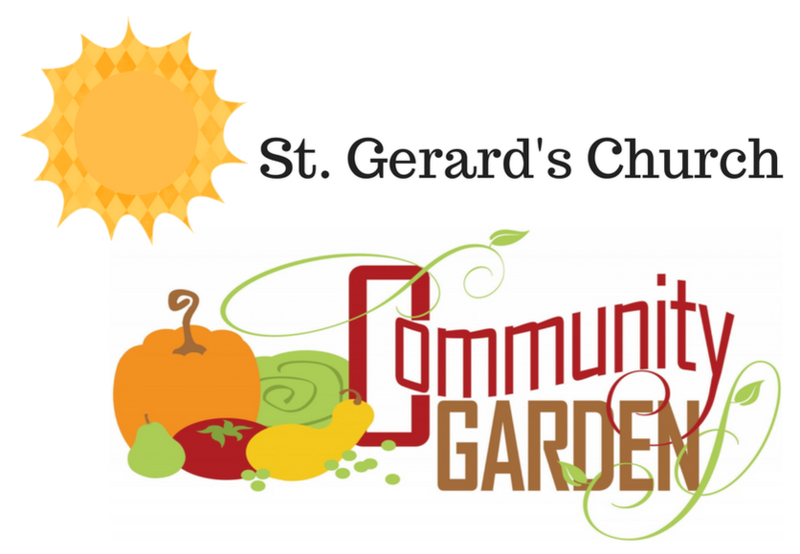 Email gardencoordinator@st-gerard.org or call the parish office at 763-424-8770 with any questions. ​CEAP Outreach Ministry involves delivering the food and clothing collected at St. Gerard’s to the CEAP location bi-monthly. 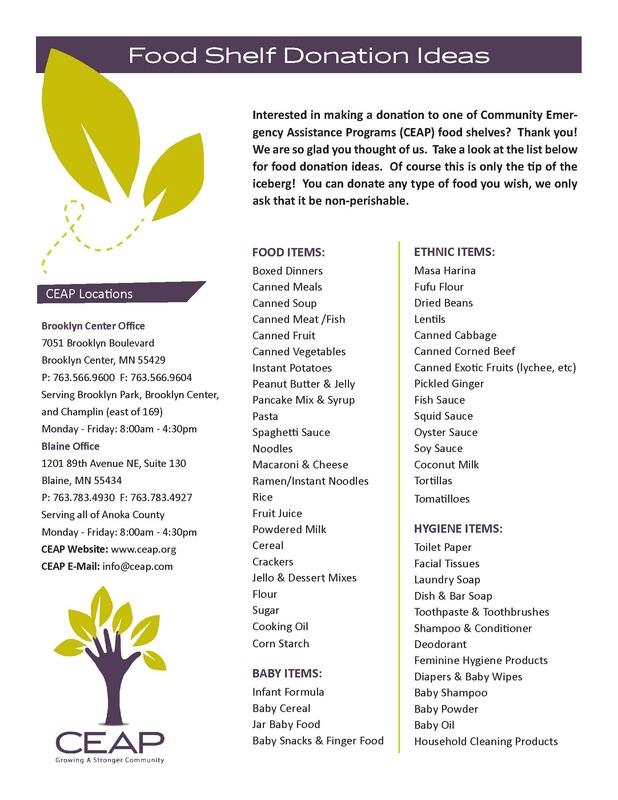 CEAP, Community Emergency Assistance Programs, was founded in 1970 as a food shelf responding to the growing need for human services in Brooklyn Center and Brooklyn Park, Minnesota. CEAP now serves Northwest Hennepin and Anoka Counties. CEAP empowers our neighbors in need by providing basic needs and personalized support to help them establish their path to stability and independence. For information on our 2019 Spring Outreach Collection (April 27 - June 9) visit our News & Events webpage. The Youth Homeless Project meets on the second Monday of the month. 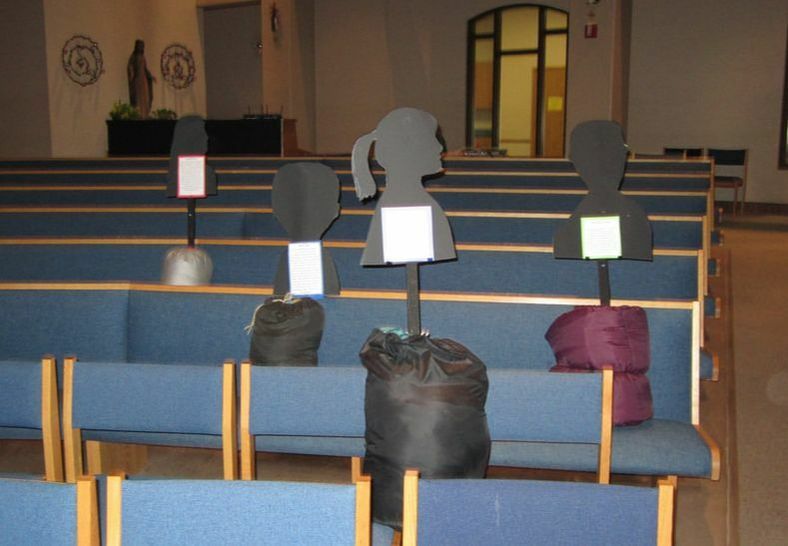 Our goal is to educate parishioners about the real, on-going issue of youth homelessness in our community and to aid various organizations in eliminating youth homelessness in the northwest suburbs. 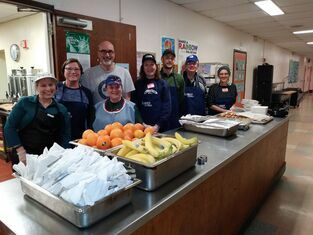 On the fourth Friday of each month St. Gerard's prepares, transports and serves a meal at St. Stephen's in Minneapolis to approximately 100-250 people in need. The prep team meets at 9:00am in St. Gerard's kitchen to prepare the food. The serving team serves from 5:00 - 7:00pm at St. Stephen's School Building (2123 Clinton Ave S, Minneapolis, 55404). Sign up to serve in this ministry on the easel in the Gathering Space of St. Gerard's. 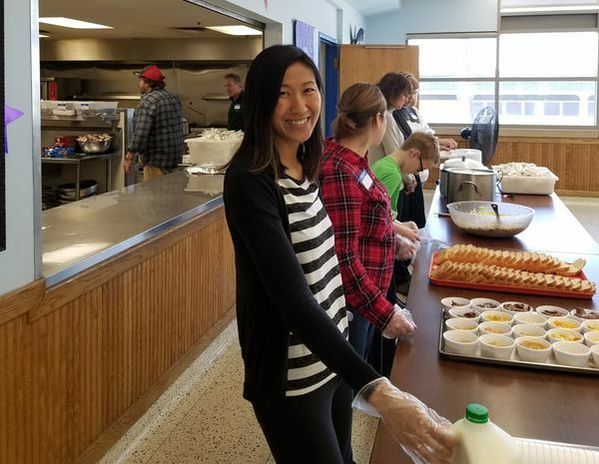 St. Gerard's prepares and serves a lunch at Sharing & Caring Hands on the first Saturday of each month. No need to sign up, just come on that Saturday morning at 9:00 am to St. Gerard's kitchen and help prepare the food. At 10:50 am help pack up the food, bring it down to Sharing & Caring Hands (425 N 7th St, Minneapolis) and help serve at 11:30 am. Visit the Sharing & Caring Hands website. Habitat for Humanity provides volunteer opportunities in both new home construction and rebuilding homes. No meetings are required on the volunteer level and your involvement can be as little as one day per year. You will be placed on a crew no matter your level of experience. Persons under 16 years of age are not allowed on the building site except to deliver food. Registration forms are available at the church. ​Visit the Twin Cities Habitat for Humanity website. 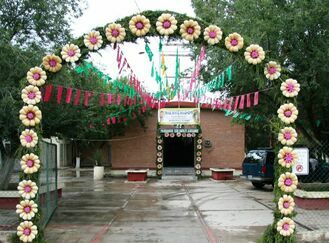 The parish of St. Gerard began a sister-parish partnership with the Parish of San Rafael in San Rafael, Nuevo Leon, Mexico in the winter of 2008. Our purpose was to build a relationship between our parishes based on our common faith, mutuality and reciprocity, hospitality and welcome, spirituality, and the desire to learn about one another. Since establishing this partnership, there have been several visits between the two parishes. The Sister Parish Ministry meets on the 4th Tuesday of the month. 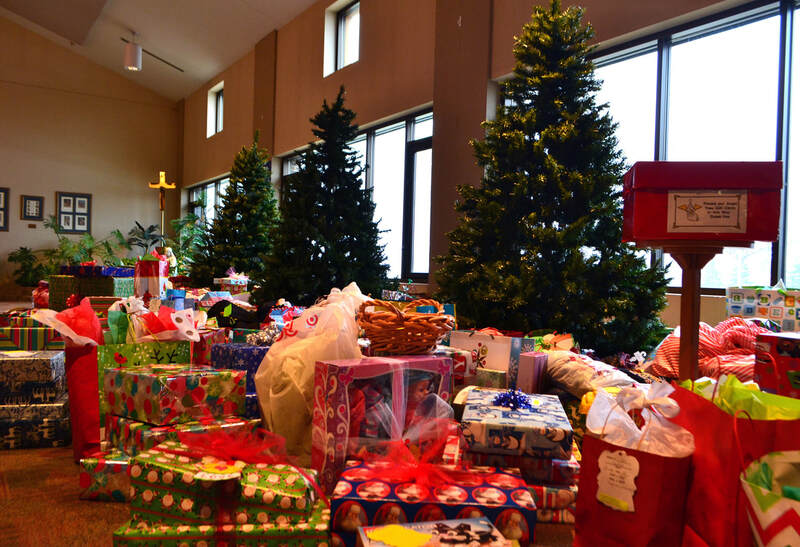 The Angel Tree Project is a parish Advent program to share gifts with others with less material resources. If you are a parishioner or know a parishioner in need of assistance at Christmas, please contact the parish office for information. Parish family requests must be submitted by November 10, 2017. Angels will be hung on the trees the weekend of November 18-19, 2017. ALL gifts need to be returned by December 9, 2017. We are unable to direct late gifts to their recipients. Funeral Hospitality is offered to families planning a funeral at St. Gerard's. 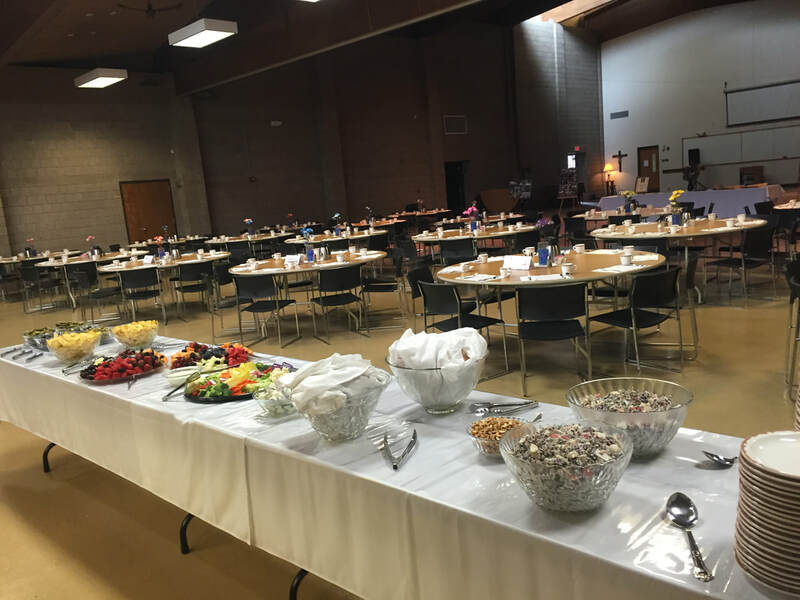 A Funeral luncheon or light refreshments are provided by the funeral Hospitality Ministry. Time committment is about 2-3 hours. If you are looking for a meaningful way to give back and help families during a difficult time, this is the ministry for you. Teens and older are welcome to get involved!